Makeup is more than just lipstick. In 2015, men and women everywhere proved that makeup is undeniably powerful, having the ability to completely transform our faces in just minutes. Here we’ve collected the most memorable makeup transformations of this year which made the world go mad. YouTuber NikkieTutorials made a video earlier this year called Power of Makeup, with the aim of proving how effective cosmetics can be. Nikkie decided to film the video when she noticed there were women who were reluctant to say they enjoyed using makeup, with some even wearing less so they wouldn’t be judged. She explained how the general attitude towards makeup is that people who wear it are either insecure and don’t love themselves, or are wearing it for the attention of others. So, inspired by an episode of RuPaul’s Drag Race in which contestants dressed as half a man and half a woman, Nikkie filmed herself applying makeup to just half her face to show what difference it can make. The video has been viewed almost 30 million times and has received an overwhelmingly positive response. Em Ford of the YouTube channel My Pale Skin hit back at criticism this summer with the video You Look Disgusting. The blogger had previously posted a video demonstrating how she covers her severe blemishes, and in response received thousands of comments criticising either her imperfect skin or the ‘too much’ makeup she was applying to her face. She even had comments ranging from ‘I can’t even look at her’ and ‘You’re so ugly’ when she was bare faced, to ‘You are beautiful’ once she had covered her blemishes. She responded to these comments by filming the You Look Disgusting video, sitting bare faced in front of the camera and sharing some of the worst comments she has received. She offered support and advice to her viewers who might have been going through a similar situation, and encouraged everyone to get involved in the discussion of why makeup isn’t simply false advertising. 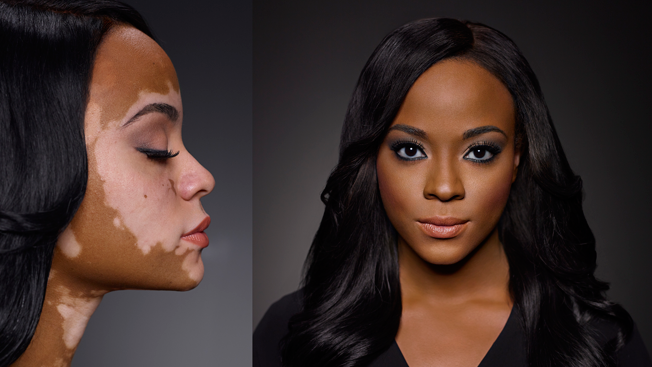 Cheri Lindsay has vitaligo, a rare genetic disorder which causes loss of pigmentation in the skin. With no known cure, the condition can gradually worsen over time, leaving random patches constantly spreading over the body. But Cheri hasn’t let the condition take over her life. After starting a YouTube channel, Cheri began making videos raising awareness of the condition and supporting other sufferers. The video which caught everyone’s attention was a makeup tutorial demonstrating how Cheri evens up the skin tone on her face. It’s incredibly empowering, with Cheri stating that the video isn’t about covering up your skin; it’s about allowing yourself to be whoever you want to be.